Aaron Gillum is a Senior Vice President in the Private Equity Group at 50 South Capital Advisors. He is responsible for sourcing and analyzing venture capital partnership investment opportunities in the U.S. Aaron is also responsible for fundraising activities and portfolio management. Prior to joining Northern Trust, Aaron was co-founder and Managing Partner of an early stage venture fund focused on technology companies in the Midwest and New York City regions. 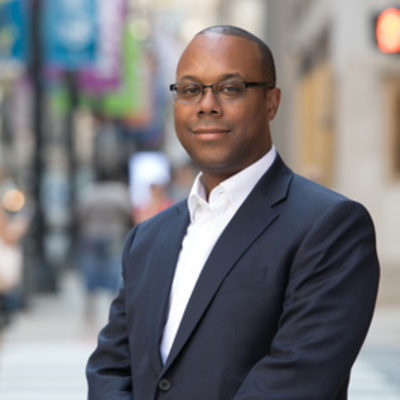 He has over fifteen years of experience in leadership roles with tech start-ups, as well as strategy and restructuring advisory to Fortune 500 and middle market companies across a variety of industries. Aaron was named to Crain's Chicago Business Tech 50, a recipient of the Turnaround Managements Association's, Turnaround of the Year and M&A Advisor's Top 40 Under 40. Aaron serves on the advisory board of several venture funds and is a featured speaker at industry events and conferences. Aaron earned an M.B.A. from the University of Chicago Booth School of Business and B.A. in economics and public policy from the University of Michigan, graduating with honors. He is also active as a mentor and volunteer with the Future Founders Foundation and the Big Shoulders Fund.